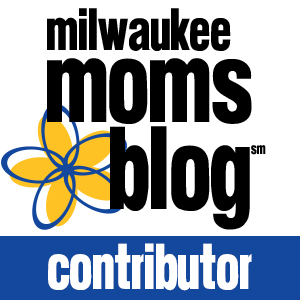 From layout to policies to staff, every NICU, or Neonatal Intensive Care Unit, is different. What may happen in one hospital, may not happen in another. 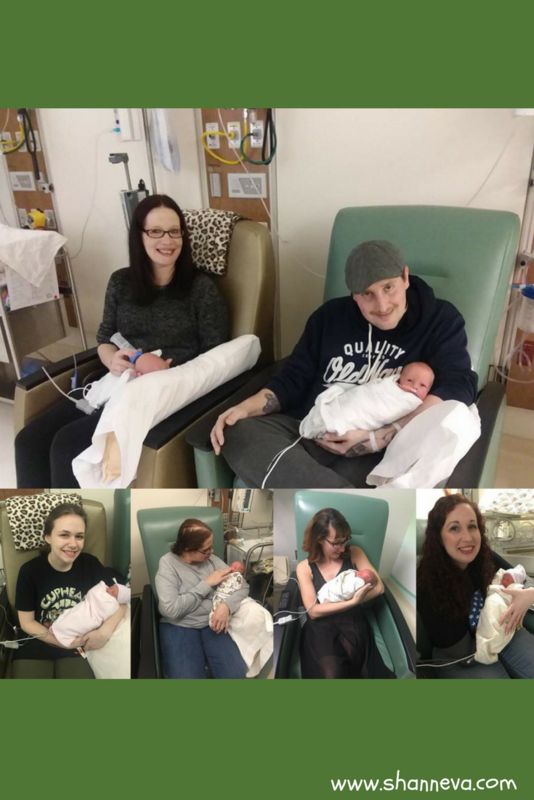 In each different NICU, each family can have a very unique experience. Some hospitals have private rooms, some are organized in pods of a few beds, while others are entire rooms filled with incubators. My twins stayed in a NICU like the last one. 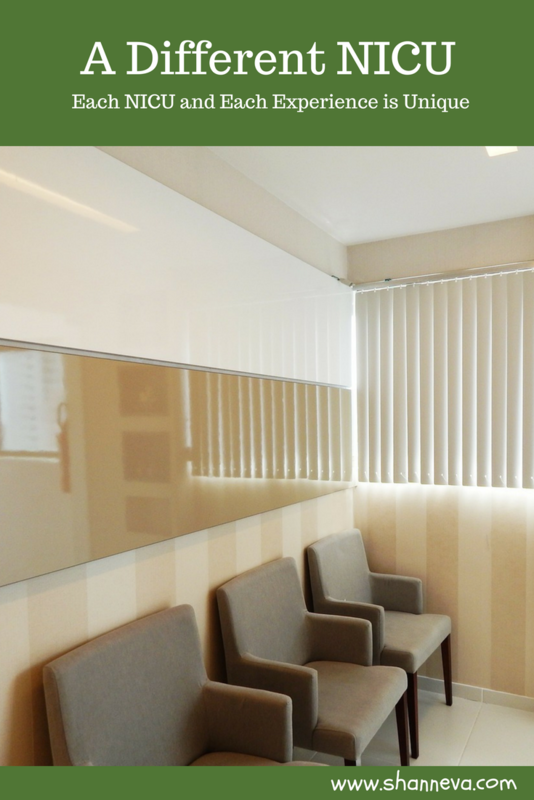 While I would have loved a private room, the care they received was amazing. I couldn’t have asked for more caring nurses or better doctors. 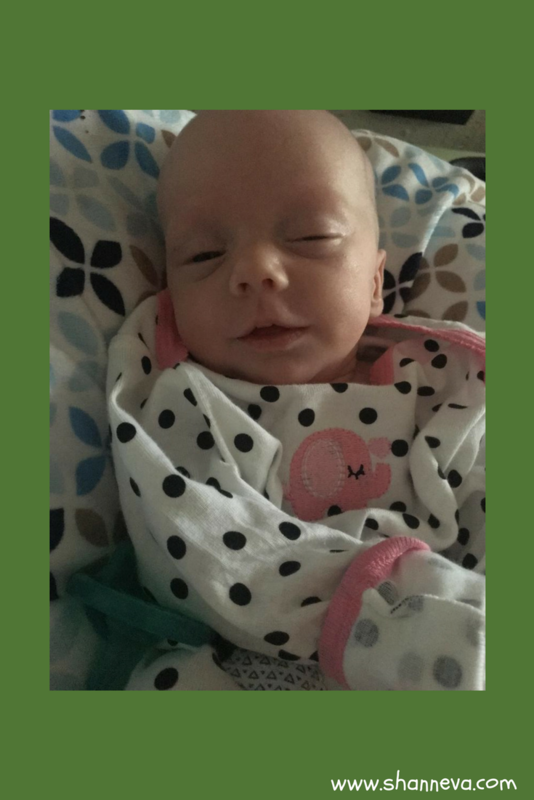 While the beginning of our NICU journey was very scary, we had a very good experience with the facility and staff. A NICU is designated by levels, with a level 4 NICU being able to care for the smallest and sickest babies. The NICU my boys were in was a level 3 NICU. When Little P developed NEC, there was talk of transferring him to a different NICU if he needed more complex surgery. Luckily, that didn’t happen. I’m not sure how I would have handled having babies in two hospitals at the same time. Today’s family also had twins in the NICU, but unfortunately, they did have to go from one NICU to a different NICU. Please meet Connor and Nora, as told by their mom, Tracy. DI/DI Twins born at 34 weeks exactly on December 13, 2017. Connor Thomas was 4lbs 11oz, and Nora Ann was 3lbs 8oz (she is an IUGR baby). Nora in the top photo. Connor below. 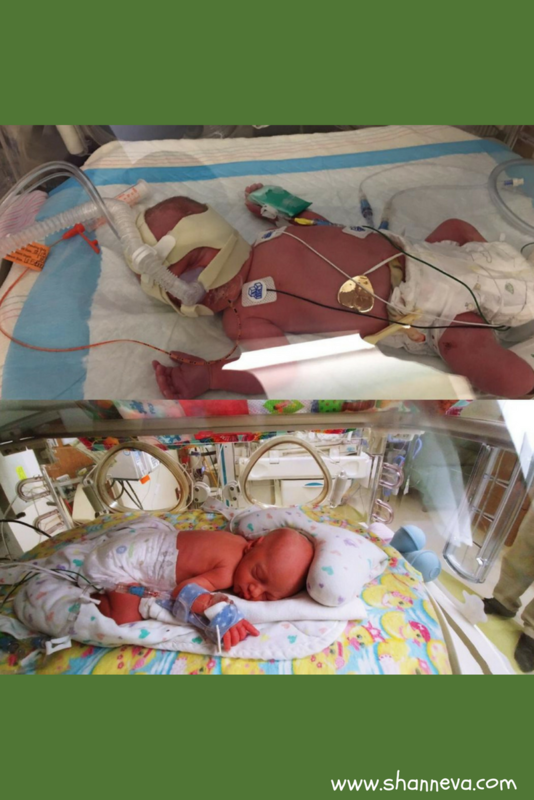 Both babies were admitted into NICU straight from C-section Delivery. Connor needed CPAP only forced air for 24 hours. He also had an NG tube and was strictly there as a feeder and grower. 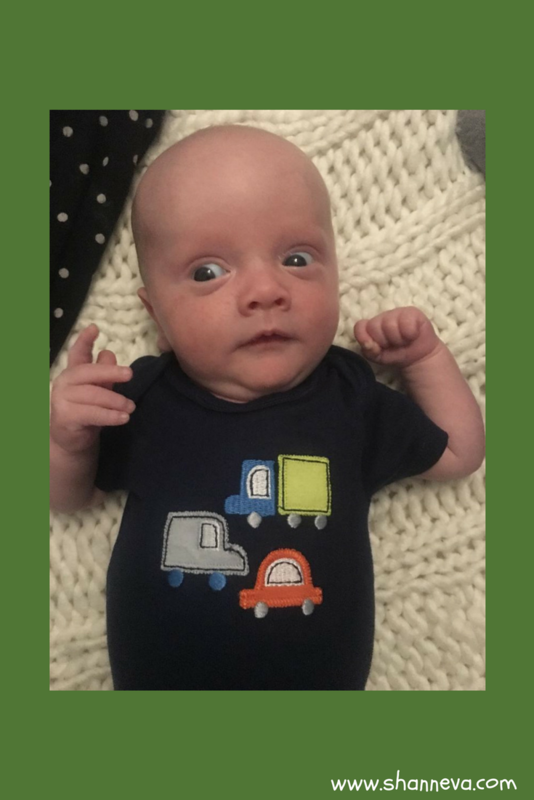 His complete stay was 21 days, with a transfer to a downgrade NICU level 2. Connor on CPAP. Nora hooked up to IVs. Nora didn’t require CPAP. She was there strictly as a feeder and grower. She also had an NG tube, and she was transferred alongside her brother to the downgrade NICU level 2. Her complete stay was 35 days. The first NICU was beautiful, and The March Of Dimes would visit weekly and talk with every family. It was very nice and comforting. We had private rooms, so it was more of an intimate atmosphere. The only hard part with the first NICU was having to be discharged from the hospital without my babies. I have a 13-year-old daughter who was 5 days late, and she got to come home with me, so this was all new to me. They were transported on December 27, 2017 to a hospital that I wasn’t fond of, as I had bad experiences there in the past. Upon arrival, I cried due to the fact that there wasn’t private rooms. The one nurse was not empathetic. It was a very cold atmosphere, and I just knew this was going to be a rough ride. When you’re placed in these situations you really have no say. If you say the wrong thing, you must remember they are in charge of caring for your children. So, it’s an eggshell experience. Connor was taken off his NG tube 3 days after arrival due to him ripping it out. So, he was strictly bottlefed until release. He had no issues after that. Nora ripped her NG tube out 3 times, and they kept insisting on replacing it, which only delayed her feeding. I felt the nurses were lazy and would rather use their NG tube versus taking the time to show these babies how to eat from a bottle. Nora did DESAT during feedings, but that was 1 time when I’d call for updates. She never had any feeding issues while I was there, or at night-time with those nurses, but for some reason she had all these issues (they’d like to call it that) only on the day shift. I knew something was off with this place, so I kept going everyday. At this point, Connor was already discharged. So, this one day that will never escape my mind. Connor and I went up for a visit. During this visit, I met with the speech therapist and we both fed Nora. Neither of us had any problems. She has to be fed side lying position, which is fine. A nurse had mentioned she forgot to give Nora her vitamins, so she figured she’d just give it to her real fast. Now, Nora falls asleep after her feedings, and this woman waited 10-15 minutes after he feeding to wake her up and shoot the vitamin in her cheek. Well, this is where it took a horrible turn. Nora stopped breathing from shock. She turned blue and chest compressions and oxygen was administered. I sat there with her brother crying and not knowing what to do. Neither nurse gave me a hug. They said “oh this is normal.” How is that normal?! It’s not. It’s negligence on their part. It’s laziness, and that’s when I was forever changed. I live in fear that my children will stop breathing. Nora was supposed to leave the following day but since the nurse messed that up, she had to stay an additional 4 days. I just cried and cried because I felt she wasn’t excelling in the hospital. I knew she would do better with me at home. The day came when she was released, and my husband and I were so excited. We couldn’t wait to escape that horrible place. This was my second pregnancy. I was experiencing chest pains and terrible back pains, so I went into the hospital Tuesday evening 12/12/17. I was hooked up to the monitors and was given pain medication because I couldn’t breathe. Also, I couldn’t sleep, I couldn’t drink, and I couldn’t eat. Essentially my body was shutting down. I was taken for every test possible from gallbladder to kidney stones. All came back negative. 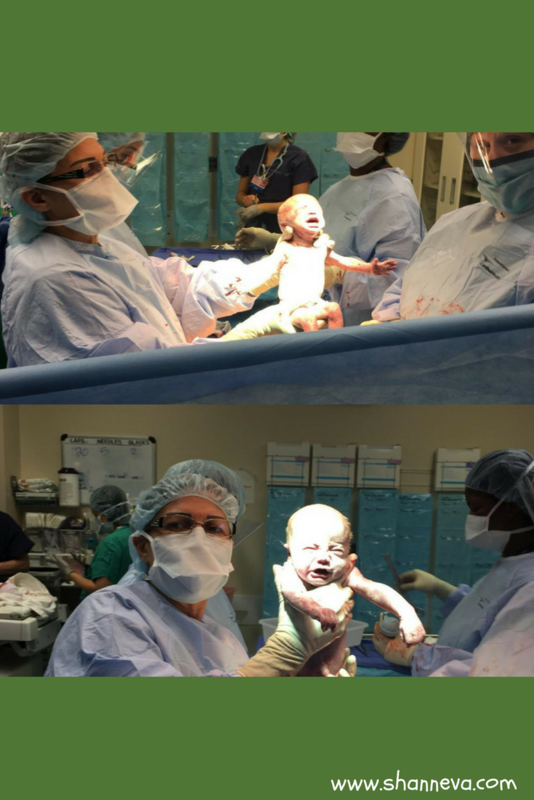 I was contracting 2 minutes apart, but I wasn’t dilated, so they kept me to observe. Then the pains got so intense that I was given Ambien for sleep. When that didn’t work, I was given morphine for pain. That didn’t work. Nothing seemed to work. The next morning the surgeon came in, and said we can go forward with the C-section, but this won’t help your pains. I knew it would. Nora was in the 10th percentile for IUGR, so I knew if they stayed in longer it wouldn’t be beneficial for them at all. My body couldn’t provide them with much anymore. Time came for C-section and Nora was born first at 3:22pm. As soon as they pulled her out, Connor flipped and got his head stuck under my ribs. He was born at 3:26pm. I must add the pain went right away. The following day, the surgeon came in to inform me that both babies were so lodged in my ribs they were pressing on my lungs. Which explains why I couldn’t breathe, so I knew I was right. My first pregnancy was fine she was 5 days late born 9/28/04 @7lbs 6oz. She’s one happy big sister! Visits from family.Top is my husband and myself, he’s holding Connor. I have Nora. Big sister Jamie holding Nora. Mimi (my mother) holding Connor.Aunt Sarah (my cousin) holding Connor. Aunt Holly (my sister) holding Nora. 4.How are you and your babies doing now? Connor is now close to 8lbs, and Nora is now 6lbs! Connor actually can’t fit into newborn clothes anymore. Nora is still in preemie clothes, as she’s petite. The effects will forever impact me. I believe in this situation you either have to allow it to make you, and if you don’t, it will surely break you to your core. I feel in this situation you are stripped down of all your guards. You have to entrust in complete strangers that they will do what is right. I will live with the regret of missing out on their first month of life. I do, and always will blame myself, for their early arrival. I don’t know why my body failed, but if it wasn’t for my body failing then they wouldn’t of had to endure the extended hospital stay. That’s just how I feel. Since Nora was a breech baby, she had to have an X-ray to see how her hips are aligned. Although her pediatrician said her hips are strong, they just have to get the X-ray documentation. She also has a hernia under her belly button, but that will go away on its own. So, no surgery is needed. I think the effects on family from this experience are both positive and negative. It can bring you closer and it can also separate you. I am one to keep my feelings within myself, so the traumatic episode I had with Nora I kept that inside of me. I did inform my husband when he returned from work. We both couldn’t talk about it to anyone else due to the fact that it’s scary to know our daughter could’ve been gone. That’s the worse feeling in the entire world. My only advice would be to listen, and listen carefully to everything you’re told. Also, there is never a dumb question. This is how you learn. When in doubt, talk with the social worker that’s on hand there. That’s what they are there for. I feel I handled myself pretty well considering all the obstacles we all faced, and I came out of this stronger than I ever thought I could be. Always remember there is an end to the line. Be patient. The days may seem long now, but the years will fly by. Use the time to become better informed of what to expect when they do arrive home. Lastly, I can’t stress how much patience you will need. I have had to adapt to a new world and patience wasn’t my strong suit. Now it has become my strongest attribute yet! Good luck to all future Mom and Dad’s out there! Remember you’re not alone! 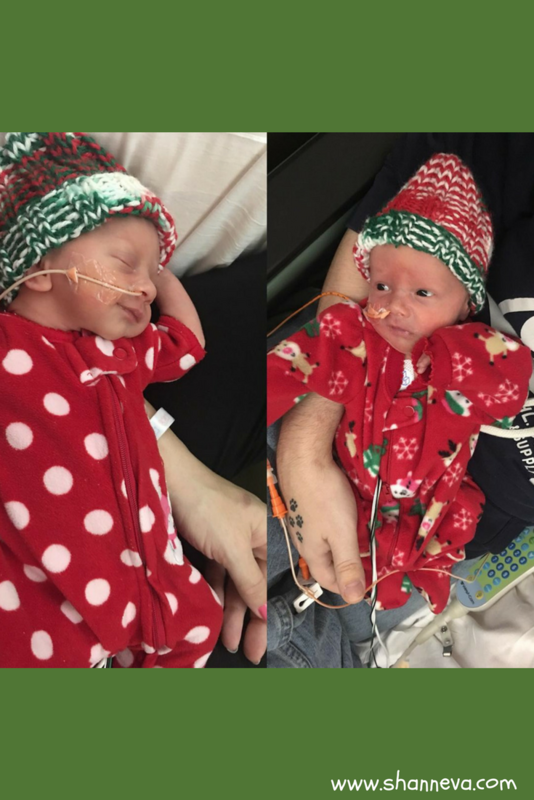 Thank you so much to Tracy for sharing their journey, and her sweet babies. Please leave any supportive comments or questions below.